Click on the pest that’s bugging you the most to learn more about treatments. Our team of exterminators can handle more than just bedbugs, fleas & ticks, and roaches. With indoor and outdoor treatment options, we are prepared to keep your home pest free from all the common household pests. Interior treatment of entry ways, cracks, and crevices. Interior monitoring stations trap insects invading your home and are strategically placed in critical areas to provide you with a report card on insect activity inside your home. Exterior granular perimeter treatment of cracks and crevices on home foundations – up to 10 feet out. Exterior hot spot treatment treats entry points such as door and window frames and areas along the foundation so pests can’t use these places to get inside your home. Exterior web wiping removes spider webs from around doors and overhangs, and other reachable areas. * Standard pest treatment only includes common pests. We call or text to schedule your pest control service. Not home, we treat the outside to maintain a pest-free home and within the warranty period, call or email us to service your inside at no cost. * For commercial locations, we must thoroughly inspect the location and then provide a proposal.  We can provide pest services as soon as that day, depending on the scope of your needs. * Heavy roach or rodent infestation is not covered under general pest control. Can’t Find Your Bug or Unsure of What You’re Seeing?  If you don’t see your bug in the list above or don’t know what’s infesting your home or business, fill out the form below. We’ll reach out to help you identify your pest and discuss ways to exterminate it. Are you a new Hired Killers customer or an existing customer? There are only a few certain things in life — death, taxes, and pest infestation. There is no way to permanently prevent pests from entering your home or business, but you can stop worrying about it. Our service plans offer weekly, monthly and quarterly pest control, so you don’t have to keep a vigilant eye out for those pesky invaders. Contact us to learn more. Nothing is more unsightly than a trail of ants on your kitchen tile, or a cockroach skittering across your bathroom cabinet. These bugs are much more than unpleasant — they can carry allergens, spread disease, damage wood in the home, or even destroy your perfectly manicured garden. The risks can be even greater for business owners; the last thing you want is a customer spotting a bug, leaving a poor impression and possibly causing a loss in business. It’s next to impossible to prevent pests from entering your home or business, but you can take steps to avoid the problems they cause. At Hired Killers, our services are performed by professional exterminators who are certified, bonded, insured, and qualified to eradicate pests from your home or business. Commercial pest control services can be designed specifically for the pest issue. Whether a home, apartment complex, church, hospital, zoo, or anything in between, our technicians are trained to exterminate and always complete their contracts. Call to schedule an appointment with one of our technicians, who will communicate our service plan and leave a written proposal.